2Medicinal Chemistry (CMFA), Louvain Drug Research Institute, UCLouvain. 73, Av. E. Mounier B-1200 Brussels, Belgium, E.U. 4Medicinal Chemistry (CMFA), Louvain Drug Research Institute, UCLouvain. 73, B1.73.10 Av. E. Mounier B-1200 Brussels, Belgium, E.U. 5Pharmacognosy Recherch Group (GNOS), Louvain Drug Research Institute, UCLouvain. 72, Bte B1.72.03, Av. E. Mounier B-1200 Brussels, Belgium, E.U. 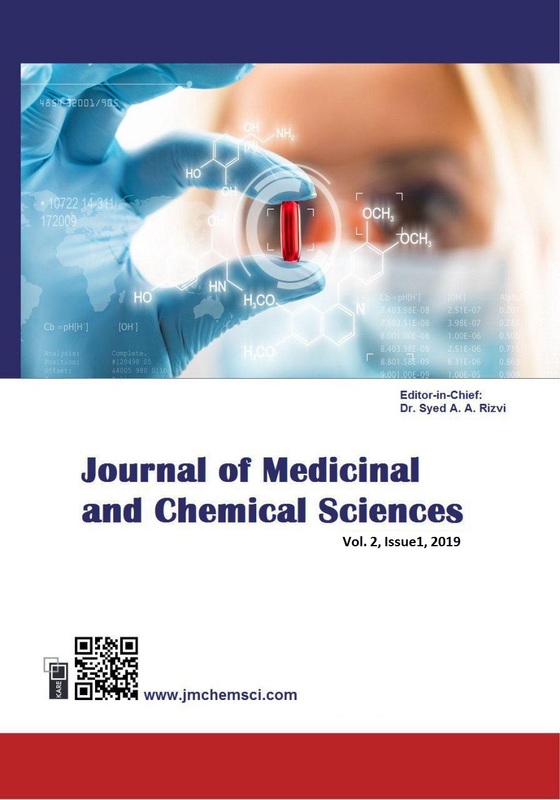 In a medicinal chemistry-driven drug discovery program aimed at synthesizing new topically-acting trypanocidal chemotherapeutic agents to treat the African trypanosomiasis, our research group became interested in new chemical entities bearing in their center a thiohydrazide (C=S) NHNH or thiosemicarbazide NH(C=S) NHNH central template flanked on both sides by lipophilic aryl moieties. In this context, benzopinacolone was found to react as a rather unusual acylating agent via a mechanism (addition/elimination) involving addition of the nucleophile (a thiosemicarbazide derivative), formation of a resulting tetrahedral adduct, and expulsion of a trityl anion moiety as leaving group, presumably through an anchimeric assistance effect by intram-olecular participation of the thioureido side-chain via hydrogen bond formation. 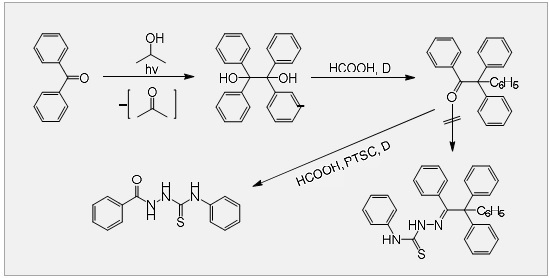 The present incidental discovery should be considered at this level as a first inception and further work is now being directed at closely examining the detailed mechanism of this exceptional chemical pathway; in a reaction involving the unusual breaking of a carbon-carbon bond (carbon acid as leaving group) in the rate-determining step and involving the decomposition of the intermediate tetrahedral adduct to get the final unexpected N-thiobenzoyl-thiosemicarbazide.